How will Omnitude and Williams Martini Racing use Blockchain? Many of you, since reading our recent announcement where we’ve partnered with Williams Martini Racing, have been quizzing us about just how Omnitude plans to work and share expertise with Williams. In short, we don’t know… yet. If we did, it wouldn’t be innovation. Blockchain is a disruptive technology that will significantly change almost every industry in the coming years and decades. Technology-driven organizations know that to succeed requires leading the pack and inventing what others haven’t even dreamt of yet. Omnitude and Williams Martini Racing are leaders in Blockchain and racing technology and application ideation and utilisation. The keyword for our partnership is exploration. We don’t yet know exactly where Blockchain technologies will be best applied but we are looking forward to this exploration, which has only just begun. We also strongly request and encourage comments, questions and feedback from our community. Let’s hear your ideas! But we’re not just aiming in the dark. Not all innovation efforts succeed, but Omnitude is here to make sure that this one does. Remember that Williams Martini Racing is an enterprise organization. As such it has many needs, from the mundane — like ordering copy paper to real time access — to detailed performance data — like tyre pressure. Often this data is stored disparately and siloed, and considerable effort and expense is necessary to ensure synchronisation. Major issues can arise with out-of-sync data. Blockchain, and especially Omnitude’s approach using Hyperledger, completely eliminates all data synchronisation issues and concerns across multiple enterprise organisations. If we apply Blockchain and save a couple of hundred thousand dollars in back office operations, like ordering copy paper, that leaves more money for design engineers or spare tyres. If we apply Blockchain technology to analysed performance datasets for easy sharing, and access across multiple partners and dramatically reduce integration costs, that’s so much more money for drivers or testing a new foil design, as well as faster, easier, more efficient access for their partners. Back office efficiencies like ERP and SCM and WMS are known valid use cases and Omnitude’s specialties with our platform. We are confident there are similar use cases for performance and other race specific data, and are anxious to begin the exploration. Many commenters have correctly noted that Blockchain is not a panacea replacement for all existing systems. This is a very valid point that Omnitude understands well. Blockchain has its important place in the large mix of technologies required for success, but must also play well with others. The convergence of Artificial Intelligence/Machine Learning, the Internet of Things, and Distributed Shared Ledgers (Blockchain) is the technology trifecta for the next generation of applications. 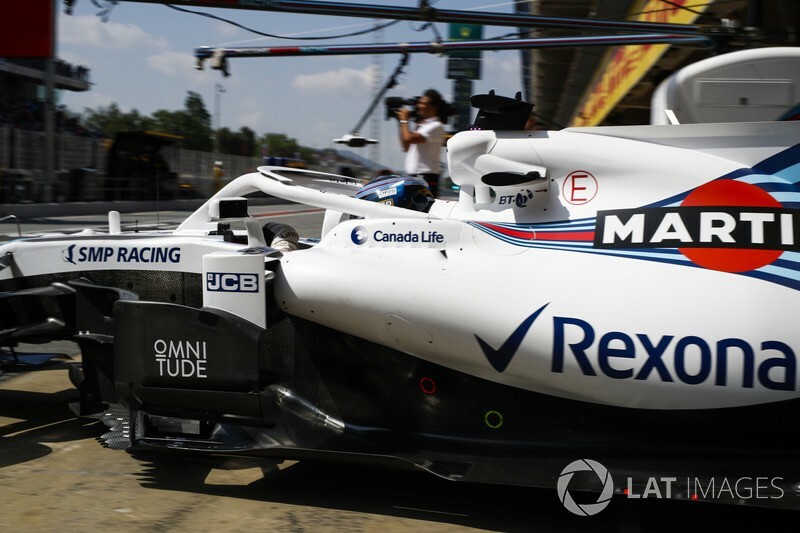 Omnitude and Williams Martini Racing have been separately exploring and will now begin jointly innovating in this convergence space. What many commenters view as challenges, we view as opportunities. We invite our community to continue to throw us their challenges so we can turn those opportunities into successful innovation with Williams Martini Racing. The official Medium account of Omnitude - a middleware layer allowing businesses to adopt blockchain quickly and efficiently. Omnitude is a middleware blockchain layer… a toolkit for businesses to integrate the benefits of blockchain technology into the commercial fabric of their organisations easily and cost efficiently.